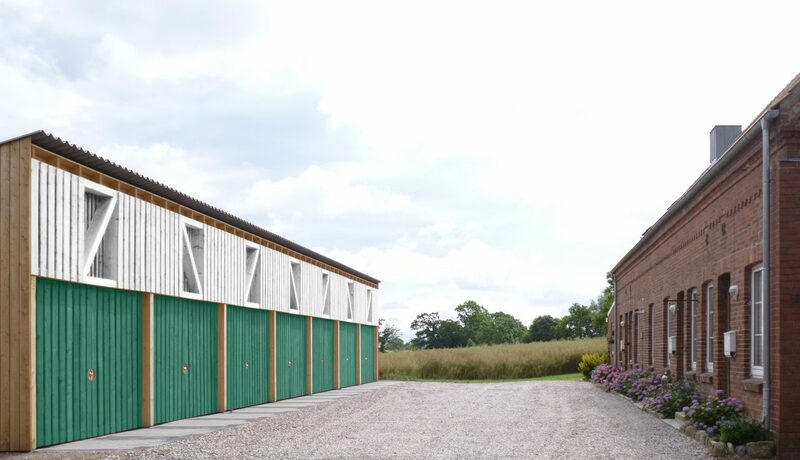 A new building to accomdate workshops, storage and cars. Nominated for the 2018-prize of 'Deutsches Architekturmuseum' Frankfurt. 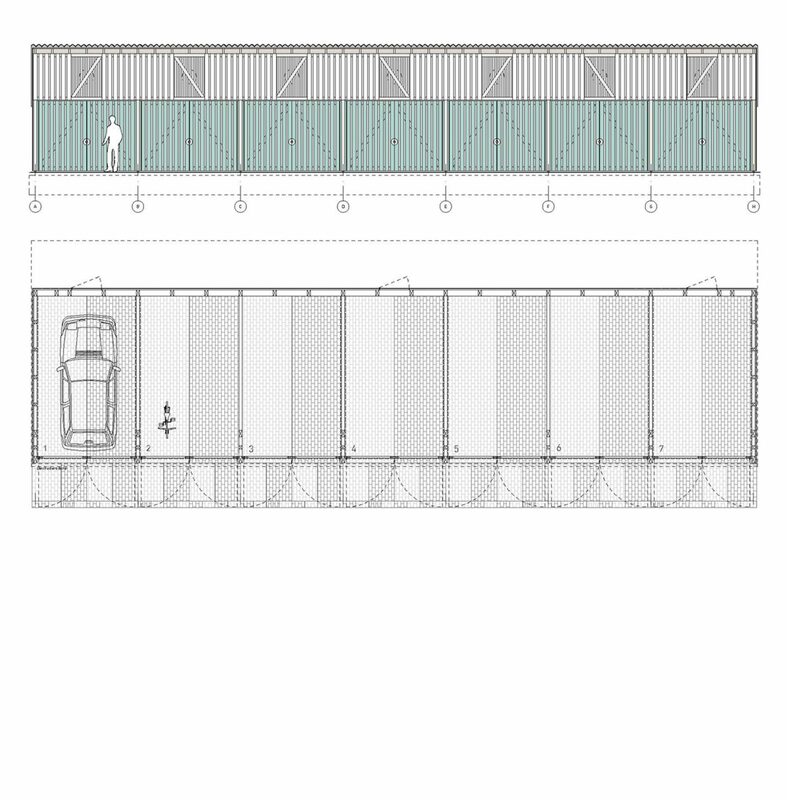 The design provides a long timber structure for flexible use parallel to a small terrace of existing houses. 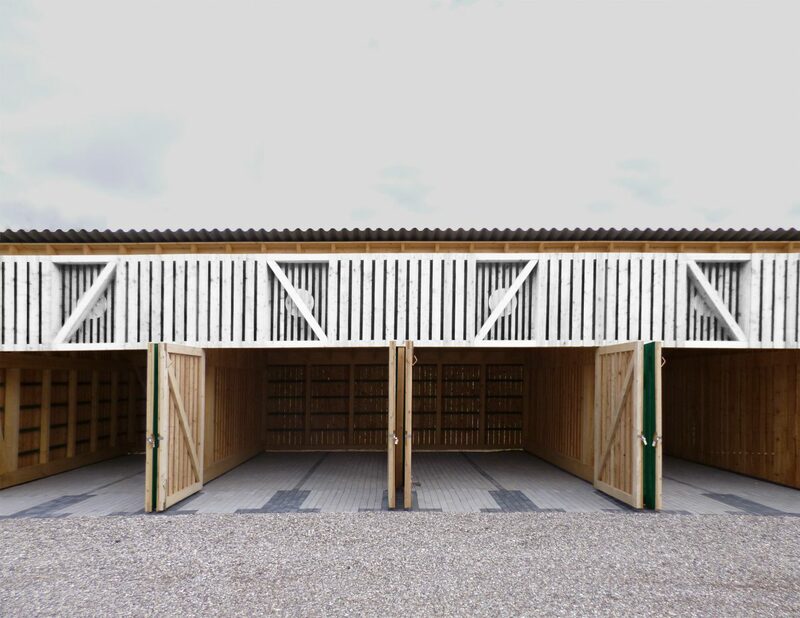 Seven compartments provide spaces for cars, bikes, household storage and workshop facilities. 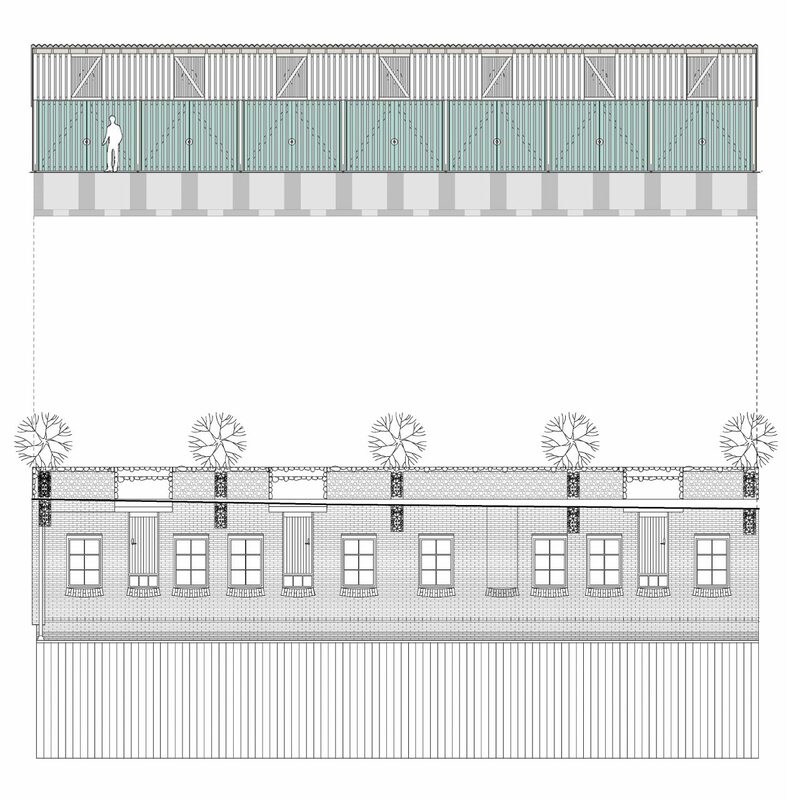 A generous public space stretches in between the new and existing building to act as a semi-public room for circulation, play, social encounters or as a west-facing outdoor terrace for events in the evening. While all of the timber has been left untreated to turn silver over time a ‘painted facade’ is facing the ‘square’. The general levels of the existing brick facade are echoed with similar door and eaves lines in the new building. 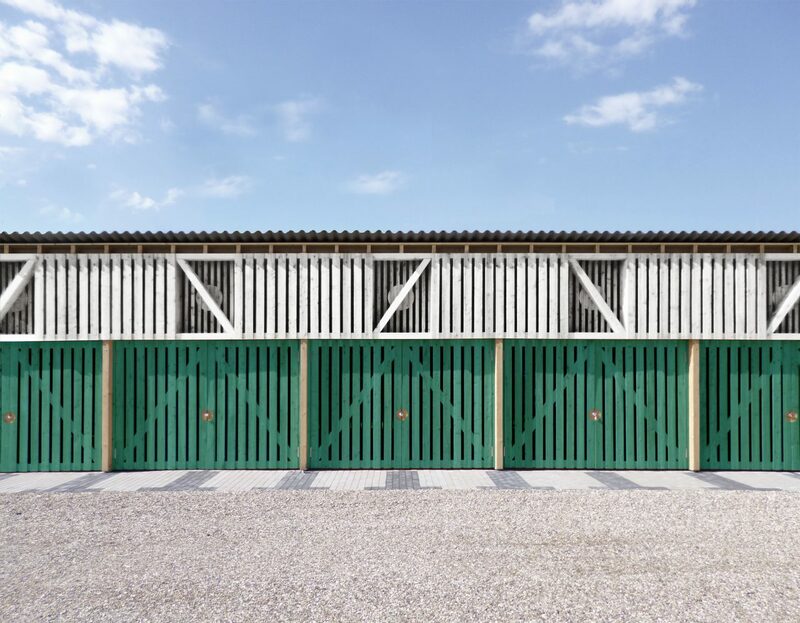 The simple repetitive structure translates local colours of green and white into a characterful geometric pattern and at the same time allowed the realisation with a tight budget. The new ensemble forms an endpoint to the street and directs views deep into the landscape. The building has been nominated for the 2018-prize of the ‘Deutsches Architekturmuseum’.